UK Chambers & Partners recommend Gavin as "He has a good grasp of the issues and his preparation is very good. He has an eye for detail. He’s also good tactically and is able to relate to clients." After service in HM Forces, Gavin began his legal career in a prestigious planning law set in London. 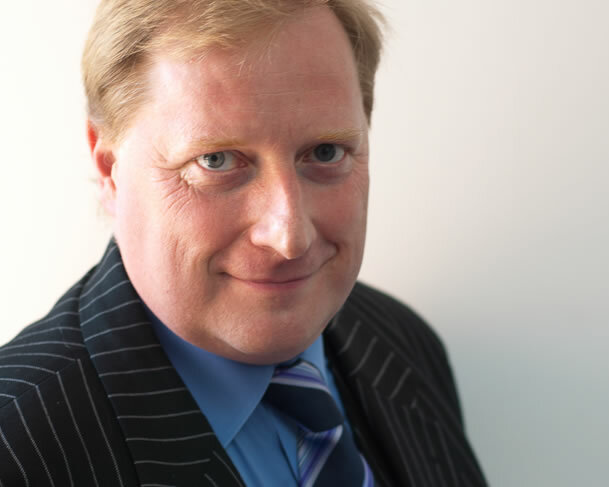 He moved to Devon in 1995 where has established himself as the pre-eminent specialist in matters of planning law and highways law. He also holds an honorary teaching fellowship from Exeter University since 2011. He has successfully challenged the Secretary of State in the High Court in 2016 as well as bringing a Highway Authority to account. Whether a small scale development or major infrastructure Gavin gives 100% and can achieve the best result for his clients. Gavin acts for numerous local authorities as well as developers and private individuals. He also accepts direct instructions from members of the public. Along with his extensive planning experience Gavin has appeared in numerous cases involving rights on or over, or involving land. The Applicants claimed an easement over the land under the doctrine of lost modern grant or by prescription. The Respondents claimed that the use of the access was with permission; was infrequent and interrupted and thus no easement has been obtained. Acting for Respondents (Mr Auld, Counsel for Claimants). Claim withdrawn. Applicant sought to register an easement across neighbouring land. Respondents denied the right. Acting for Applicants, (David Nuttall, Counsel for Respondents), Easement registered. This was an Appeal brought by Gladman Developments Ltd (App) is against the refusal by Sedgemoor District Council (SDC) of a planning application (37/17/00052) for outline permission (with all matters to be reserved with the exception of access) but of the four reasons for refusal that were given, three of the reasons for refusal (archaeology, flooding and highway safety) had been subsequently resolved by the submission of further evidence, conditions and certain undertakings from the App. Therefore before the Inspector the LPA relied upon the single remaining reason for refusal, namely that the proposal conflicted with the Development Plan (DP) policies. It was agreed that the Public Inquiry was primarily an issue of principle. The main issue being whether the application fails to satisfy the policies under the Core Strategy (CS), the LPA stated that it did not, and whether those policies can be held to be up-to-date, or not. Further if the policies were out of date whether the planning balance then tilted as per paragraph 14 of the NPPF in favour of grant. Public Inquiry into whether appropriate to use landfill to level agricultural land to improve efficiency. Consideration of the use of waste hierarchy in the Local Plan. The effect on the local highway network, living conditions of nearby residents and biodiversity. Acted for Somerset County Council Appellant Mr M Kendrick, Grass Roots Planning). Decision – Appeal dismissed. (Neil Cameron Q.C. Instructed by Turleys, for the Appellants). Acted for the Rule 6 Party. Appeal dismissed. Professor England v (1) Secretary of State f or Communities and Local Government, (2) Melton Borough Council, (3) THORPE Say NO (2016) (Unreported). High Court. High Court challenge to Secretary of State’s called in decision to refuse a wind turbine. Acting at first instance and in the High Court for the Appellant. Defendants conceded appeal. New appeal instigated, called in by Secretary of State; turbine now permitted. Appeal against the adoption of Warwick District Plan by third parties and 7 Parish Councils. Basis of challenge that artificial need for housing had allowed development on Green Belt land. Whether the Green Belt hierarchy within the area should be a material consideration and to what degree. Whether High Court challenge should be commenced. i) Was it correct for the Justices to consider the legal arguments before evidence was called? ii) Did Cornwall Council fetter their discretion? iii) If, yes, does such an unlawful act ‘taint’ the issue of the Abatement Notice? iv) If, yes, does a Magistrates Court have authority to prevent such unlawfulness? v) Were the Magistrates right to award costs, should they have assessed those costs? Acting for the Respondent (Appellant at first Instance). Sancho Brett (In-House barrister) for the Appellants. Appeal withdrawn. Appeal against the imposition of condition upon a Local Authority Licence. Acting for the Respondent Local Authourity (Mr Mark Shell, solicitor, for the Appellant). Appeal dismissed on all grounds. (b) that the Council unreasonably refused to accept compliance with alternative requirements. Acting for Sedgemoor District Council, (Christopher Hopkins, Counsel, for the Appellants). Appeal dismissed with costs. Prosecution for allowing the death of a dog in the care of kennels. Acting for Prosecution, (David Campbell, Counsel, instructed by Ashfords, for Defendant). Convicted of various offences under the Animal Welfare Act and in breach of the licence. Proposed wind farm (5 turbine site) by Ecotricity adjacent to Brent Knoll in Somerset. High local profile, issues over lack of sustainable energy within district/County. Appeal dismissed. First case where the impact of the turbines on visual amenity outweighed the need for renewable energy within an LPA. Major local issue inquiry called in by two Secretaries of State. Acted pro bono for protesters. Major negative outcome of closure allegedly offset by safety benefits. Major dispute on the accuracy of the Highway Agencies figures. Closure order not confirmed. Junction now fully reopened.